2018 commemorates the founding of the First Republic in Austria one hundred years ago. And Austria's annexation to Nazi Germany 80 years ago. 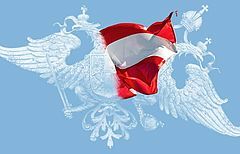 The Republic of Austria is celebrating at birthday: it will turn 100 years old this year. Its founding was declared on November 12, 1918 in Parliament on the Ringstrasse boulevard (still under the name German-Austria at the time). More than 100,000 witnessed the proclamation in front of Parliament. Almost twice as many people assembled in front of the Imperial Palace on March 15, 1938 to listen to Adolf Hitler's speech following the so-called "Anschluss", or annexation, of Austria to Nazi Germany. In the same year, the November pogrom marked an initial terrifying highpoint of Jewish persecution. This tragic chapter of Austrian history, which must never be forgotten, is also remembered in 2018. The highlight of the memorial year will be the opening of the House of Austrian History on Heldenplatz on November 12, 2018. A first special exhibition will deal with the 100 year-old history of the Republic. From March 12, the day of Austria's "Anschluss" to Hitler Germany, a sound installation entitled "The Voices" by Susan Philipsz on Heldenplatz reminds us of the horrors of that time. Twice a day, at 12.30 pm and 6.30 pm, it will be audible for ten minutes.